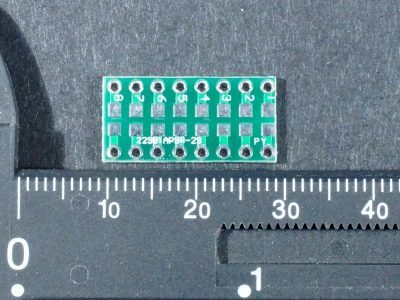 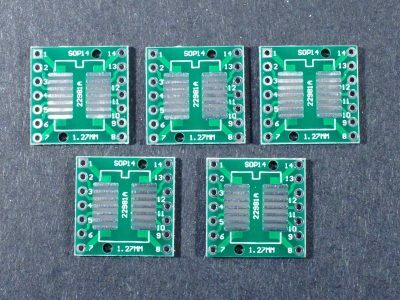 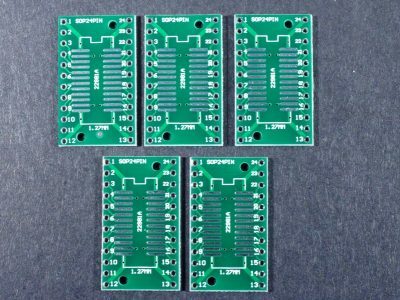 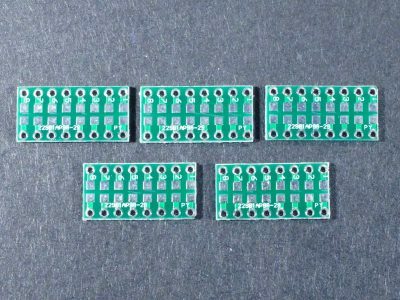 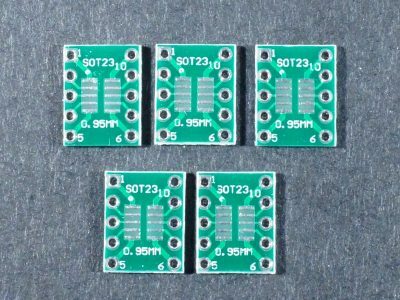 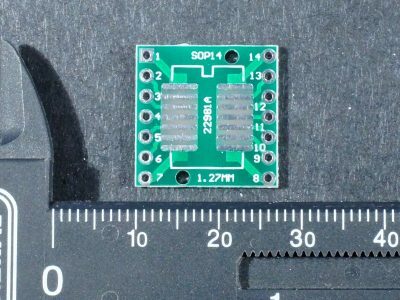 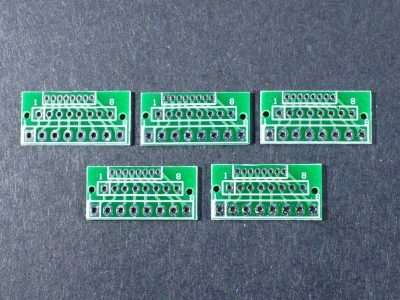 This universal double-sided prototyping board is 2 x 8 cm (0.78 x 3.15″) in size with standard hole pattern on 2.54mm (0.1″) centers. 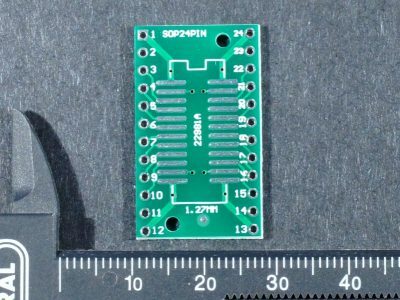 This universal double-sided prototyping board is 4 x 6 cm (1.6 x 2.4″) in size with standard hole pattern on 2.54mm (0.1″) centers. 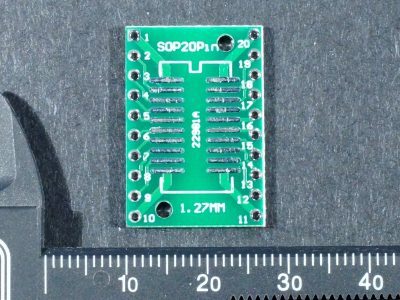 This universal double-sided prototyping board is 6 x 8 cm (2.4 x 3.2″) in size with standard hole pattern on 2.54mm (0.1″) centers. 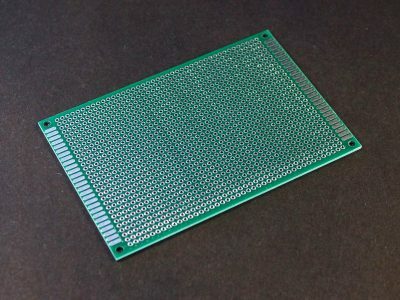 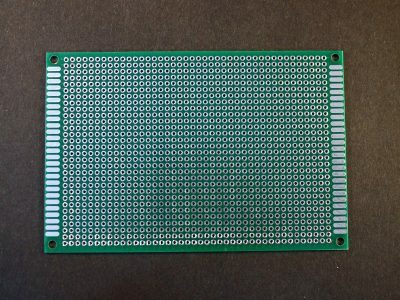 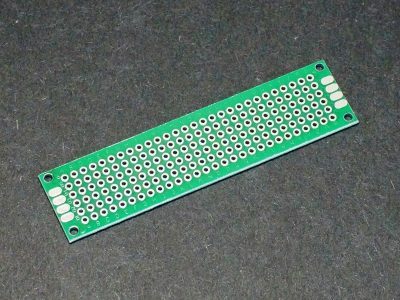 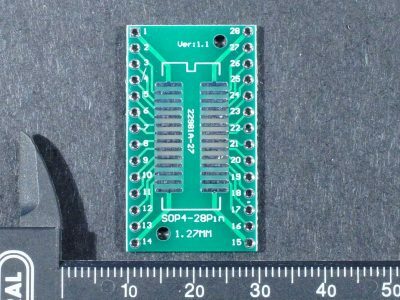 This universal double-sided prototyping board is 8 x 12cm (3.2 x 4.7″) in size with standard hole pattern on 2.54mm (0.1″) centers. 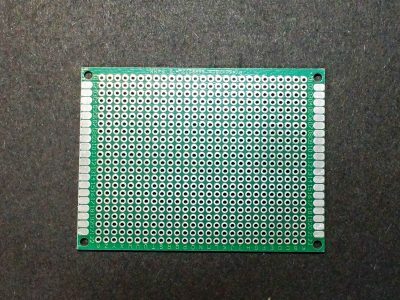 This universal double-sided prototyping board is 12 x 18 cm (4.7 x 7.1″) in size with standard hole pattern on 2.54mm (0.1″) centers. 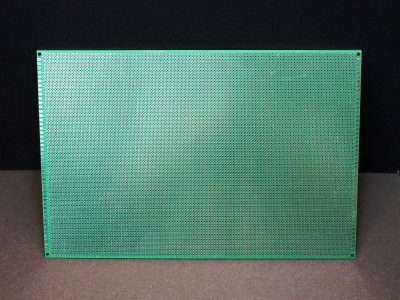 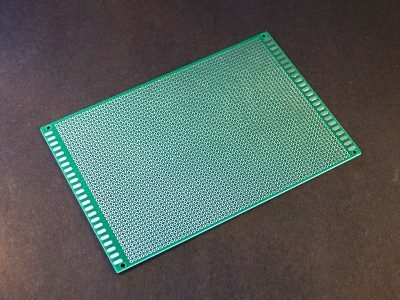 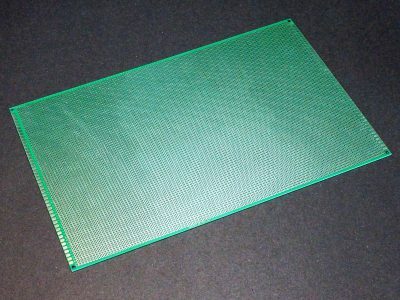 This large universal double-sided prototyping board is 20 x 30 cm (7.8 x 11.8″) in size with standard hole pattern on 2.54mm (0.1″) centers. 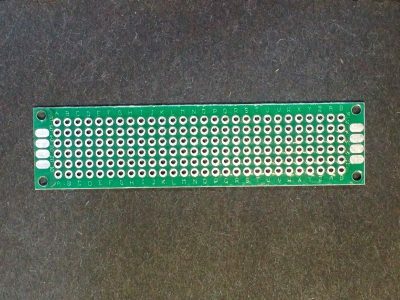 This adapter board has 3 rows with 8 pads in each row for adapting between different connector pitches. 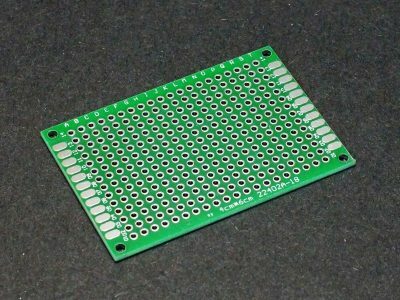 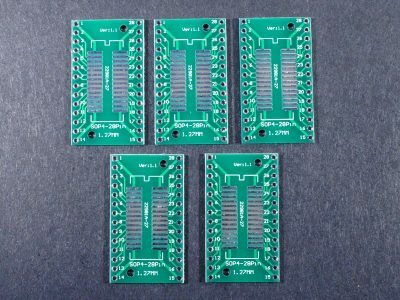 This adapter can mount up to eight 0402, 0603 or 0805 SMD components and convert them to a DIP-16 footprint. 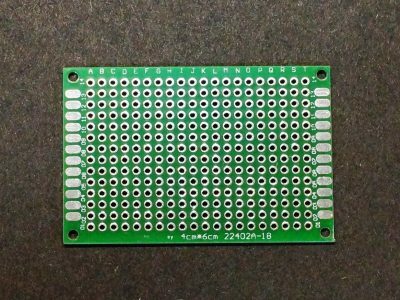 This little adapter board can mount a SOT89 SMD device on one side or a SOT223 on the other side and convert that to a 3-pin header footprint. 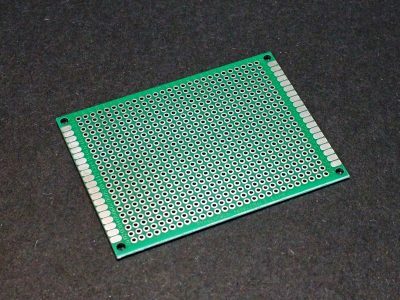 This adapter can mount many 8-pin SMD IC packages including SOIC-8, SOP-8, MSOP-8 or TSSOP-8 and convert them to an DIP-8 footprint. 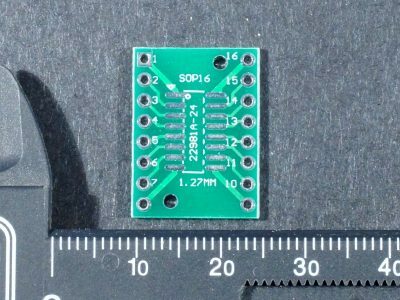 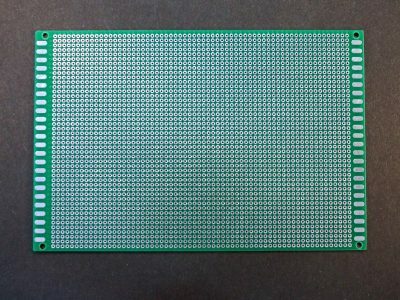 This adapter can mount 10-pin SMD IC packages including MSOP-10, TSOP-10, uMAX-10, uSOP-10 and some SOT23 packages and convert them to a DIP-10 footprint. 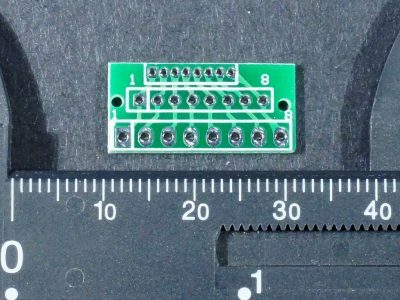 This adapter can mount many 14-pin SMD IC packages including narrow SOIC-14, SOP-14 or SSOP-14 and convert them to a DIP-14 footprint. 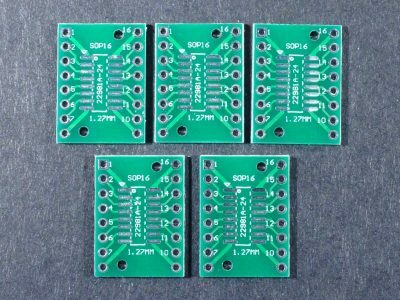 This adapter can mount 16-pin SMD IC packages including narrow SOIC-16, SOP-16 or SSOP-16 and convert them to a DIP-16 footprint. 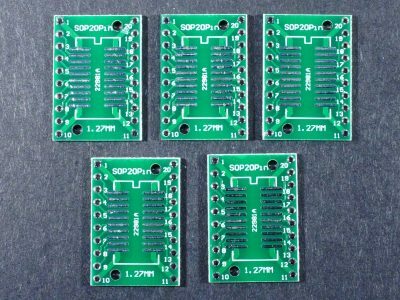 This adapter can mount 20-pin SMD IC packages including SOIC-20, SOP-20 or SSOP-20 and convert them to a DIP-20 footprint. 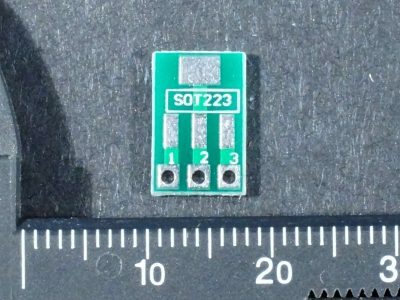 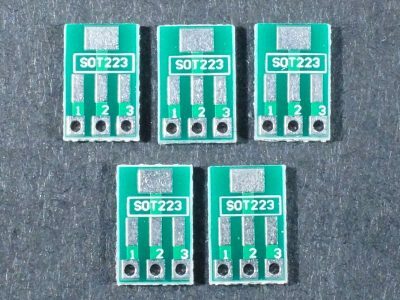 This adapter can mount 24-pin SMD IC packages including SOIC-24, SOP-24 or SSOP-24 and convert them to a DIP-24 footprint. 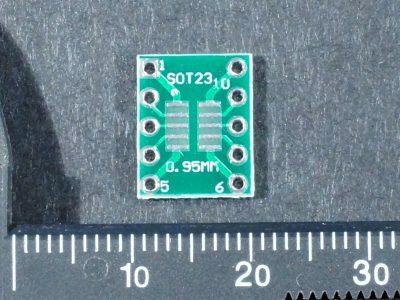 This adapter can mount 28-pin SMD IC packages including SOIC-28, SOP-28 or SSOP-28 and convert them to a DIP-28 footprint.